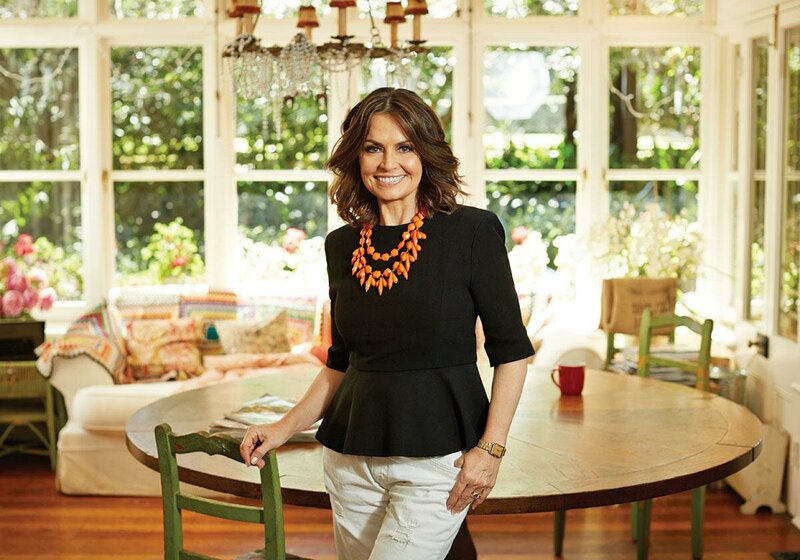 Wife, mother, mentor, journalist and one of the most respected hosts on Australian television, Lisa Wilkinson has blazed a trail through the Australian media landscape. Ingrid Nelson chats with the media mogul and discovers a little more about what makes her tick. When a 19-year-old Lisa Wilkinson answered a tiny three-line advertisement in the Sydney Morning Herald for a receptionist/editorial assistant/girl friday at Dolly magazine she had no idea it was to be the beginning of a stellar media career. In fact, just two years later, the ambitious young journalist found herself at the helm of what was, and still is regarded as the “bible” for teenage girls when she became editor of the popular national magazine, tripling its circulation during her reign. Lisa vividly recalls her first day at Dolly like it was yesterday – knees shaking, heart pounding, full of hopes and dreams and no idea what to expect, she walked nervously through the front door just hoping she would be good enough to answer the phone. “I could never have predicted what would happen from there,” says Lisa. Lisa recalls being given her first task at the teen magazine selecting the poems from the readers submissions for the popular column ‘Poet’s Corner’. “The previous editorial assistant was being promoted to fashion editor. She apologised and said, ‘I’m sorry we have left you with all the submissions for Poet’s Corner, everyone hates that job’,” she says. “My heart skipped a beat because I had read Dolly for seven years before joining and I used to pour over Poet’s Corner and compare myself to these girls who wrote in, it made me feel confident that I wasn’t alone and we were all trying to find our way in the world. “I remember hearing those words and there was a clunk in my heart because I thought it was such a privilege. She saw a big mess, a pain in the neck, what I saw were the hearts and minds and tears and fears and emotions and frustrations and love and rejections of what it is to be a teenager. 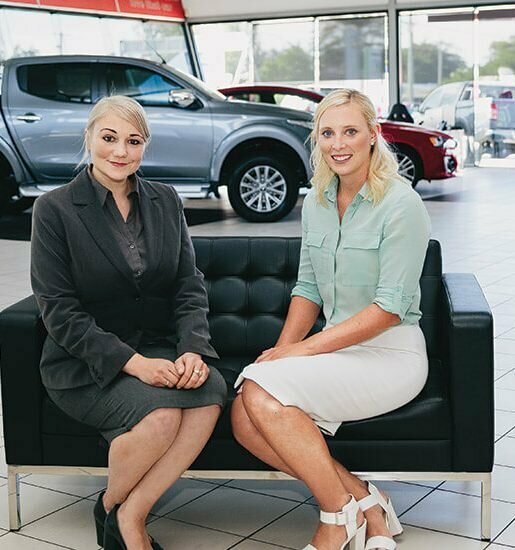 It wasn’t long before the bosses noticed Lisa’s drive and natural talent and she was headhunted by the late Kerry Packer who offered her the editorship of the iconic Cleo magazine. 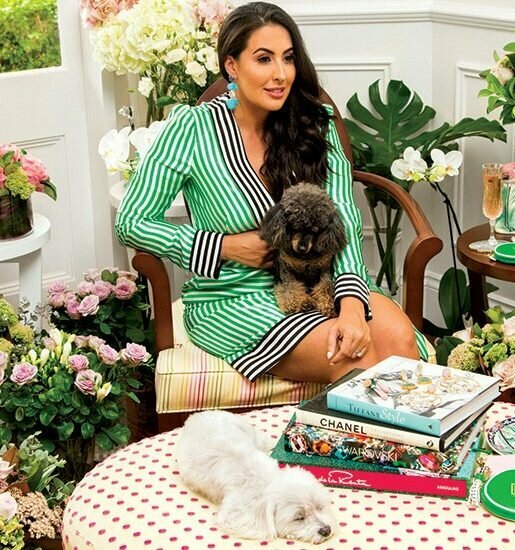 Over the next decade, Lisa guided the magazine to new circulation highs, making it the number one selling women’s lifestyle magazine per capita in the world. Lisa is refreshingly candid and honest about her climb to the top of her game, freely admitting there were times when she simply had to take a risk and “back herself”. Married to journalist, best-selling author and former Wallaby and rugby international, Peter FitzSimons, the couple has three children, sons Jake, 21 and Louis, 18 and daughter Billi, 17. Chatting with Lisa, it is immediately apparent her family is the centre of her universe and her number one priority. So I am not surprised to discover that after a hugely successful decade as editor of Cleo and at the peak of her career, Lisa decided to take a massive leap of faith and follow her heart to leave the coveted position to raise her growing family. “It coincided with falling pregnant with my second child. We had one healthy child and were about to have a second and my husband Peter and I knew we wanted to have more children so I decided to take time out to be a mum and invest in my personal life, which I had not done before. I always fit my personal life around my work. It wasn’t long though before opportunities in both radio and television came knocking and Lisa says although broadcast journalism was not something she had designs on at any point of her career, she tried her hand at both. “I loved magazines and I could go back there tomorrow. I always loved the creative process of putting a magazine together and leading a team. There was nothing about working in magazine that I didn’t absolutely love. Leaving it behind was difficult,” she says. It was during this stint that Lisa was noticed by Network 7 and the rest, as they say, is history. “I was working on Weekend Sunrise and filling in for Mel from time to time with Kochie. Then I got the call from Channel 9 offering me the Today show. “Leaving Sunrise, which was riding high at the time and well ahead in the ratings, people thought I needed my head read to move to the underdog. But I grew up in the western suburbs of Sydney so I am a great believer in the underdog. I was certainly a great believer in the Today show and once I met Karl Stefanovic, and having seen him on TV, I knew he was a really good broadcaster. He is such fun, it’s like working with my naughty little brother,” she laughs. But as is often the case with successful people, it hasn’t all been smooth sailing for Lisa. In fact, just recently, Lisa opened up about the incessant bullying she was subjected to during her high school years. “While it really rocks your confidence and your sense of self I had to try and block it out as much as I could. But it’s hard when you are isolated and sitting by yourself in the corner of the playground and you feel sick and you can’t eat lunch because you live in fear today might be the day when they approach you again en masse. It wasn’t until many years later, when Lisa opened up about her bullying on the Today show that she received an emailed apology from one of the gang members and discovered why she was the target of their attacks. However, despite her harrowing experience, Lisa says schoolyard bullying is often the result of the perpetrator’s experience with domestic violence and is a staunch supporter of reducing the shocking statistics we are currently facing in Australia. “What I discovered was domestic violence made these girls powerless in the home so bullying at school gave them back the power. Domestic violence in this country is at crisis point. In 2015 up to two women a week will die at the hands of a partner. This is a national crisis. The flow on effect is horrendous, those kids will be going to school and bullying other kids. It’s the only way they can take control and that’s the way they think the world works,” she says, the passion in her voice on the other end of the phone line is palpable. In fact, Lisa is championed as a mentor and role model for young women and is only one of three women to speak at the prestigious Andrew Ollie Lecture for which she received huge acclaim. She has also been responsible for helping other young women achieve their dreams and is a big believer in paying it forward. 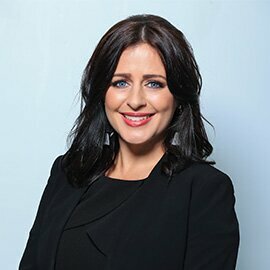 As editor of a magazine myself and also a mother of three, I can’t let the opportunity pass without asking Lisa for her tips on maintaining the elusive work/life balance and I am delighted to hear, despite her high profile, she is just as honest when it comes to the challenges of keeping all the balls in the air. “You have to remember to not try to be perfect at everything you do and understand that occasionally you are going to drop some of those balls you are juggling. Keeping a sense of humour is also so important. “Us women are still incredibly hard on ourselves if we don’t get everything perfect. Social media has created even more pressure on women than there has ever been, it’s a world of make believe. We have to start being kinder to ourselves and kinder to other women. At 55-years-of-age, Lisa says she is at one of the happiest stages of her life, enjoying watching her children grow into happy young adults and loving her current role on the Today show, which has recently celebrated eight years on air. “We are so fortunate to interview such a diverse range of people on the show every day, no two days are the same, from everyday people doing amazing things, to leading politicians, to movie stars. During our interview Lisa apologises for a few interruptions – there’s a message from the set of the Today show, a phone call from her husband, and a reminder from her PA about the ladies charity luncheon she is speaking at later that day. Yet despite her incredibly busy schedule, Lisa is so generous with her time and answers each of my questions at length and with great enthusiasm. I think they’ve finally found you out Lisa, and you didn’t disappoint!